They get the job done. They stayed in very good contact with me and were very friendly. Charles was an especially good listener and interested in my needs. 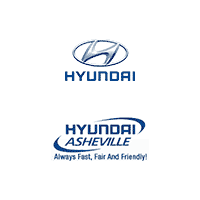 I have been dealing with Hyundai of Asheville for the past 8 years. They are there to sell cars! They listen to your needs or wants and guide you and work with you so you can leave in the car that’s right for you. Always friendly and professional.